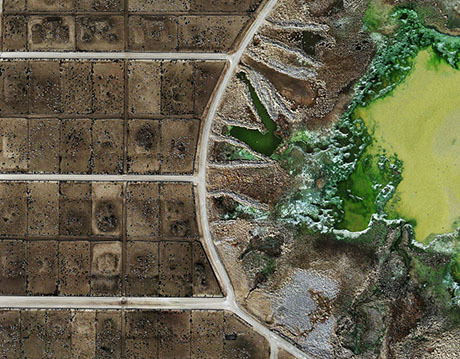 Photographer Mishka Henner has produced some amazing (and disturbing) aerial photographs of Texas feedlots, which I discovered in a post on ediblegeography.com. Ninety-seven percent of the beef consumed in the United States will have been “finished” on a feedlot: a vast and odoriferous empire of pens and troughs where up to 100,000 steers at a time spend the last three to six months of their short (12 to 18-month) lives gaining up to 4 pounds a day on a diet of corn, protein supplements, and antibiotics. Digestion at such an industrial scale produces equally colossal amounts of manure. 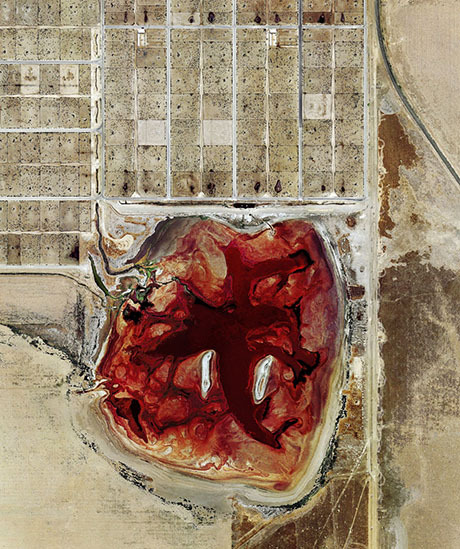 In Henner’s images, the swirling blood red and bilious greens of the feedlot waste lagoons threatens to overwhelm the ant-like cattle clustered on their desaturated brown and tan squares. 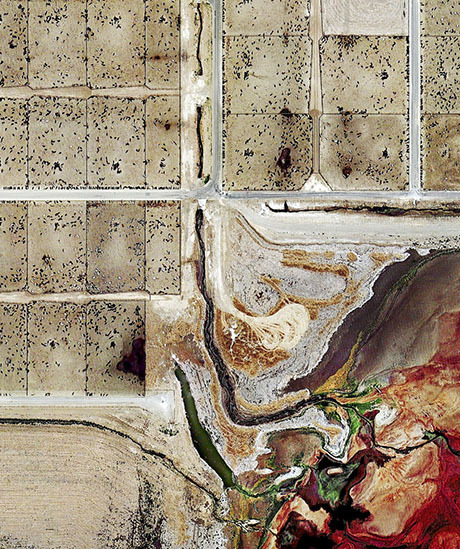 These feedlots are abominations. Cattle are ruminants. They are designed to eat grass, not corn. And confining them in this way is inhumane as well as unnatural. 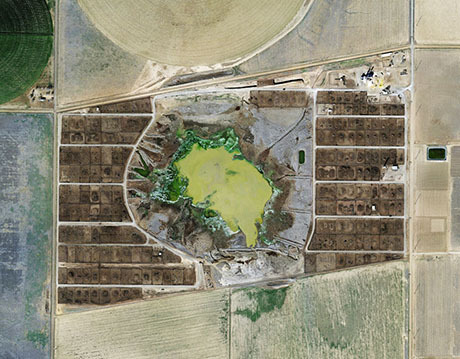 The disgusting giant swamps of manure and waste generated by these cattle concentration camps would never occur in nature. They are, as shown by these photographs, ugly scars on the world. It is not necessary that we be complicit in this. We can opt out by choosing to eat only grass-fed beef, or no beef at all. If we don’t, whether we like it or not, scenes like those in the photographs have our fingerprints on them. We’re off to the Wild Goose Festival this morning for a few days. We’ll fly the flag of sustainable farming for a bit, but most of the time we’ll just be relaxing and soaking in wisdom, good music and encouraging vibes. We’re leaving the farm in good hands. There won’t be any posts for the next few days and I won’t be able to respond to any comments.